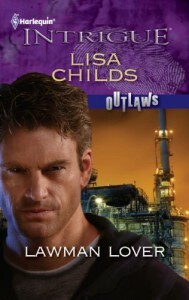 A nice fast pace romantic suspense novel; that is what Lawman Lover was. Normally I am not a huge fan of multiple POVs but in Lawman Lover they didn't feel so bad. Lawman Lover was neither overly cheesy nor cliché. The best part was the romance between Macy and Rowe, it was sweet ^_^. I really liked it although I would have preferred it to be a bit more longer. Can't wait to read Jedidiah's story!